Tribute to the V-Force 2018 - Newark Air Museum - Military Airshows News & Press Releases. • Official Newark Air Museum Website. • Newark Air Museum Page. The preparatory work for the 2018 Tribute to the V-Force event on Saturday 19th May, 2016 is now almost complete. 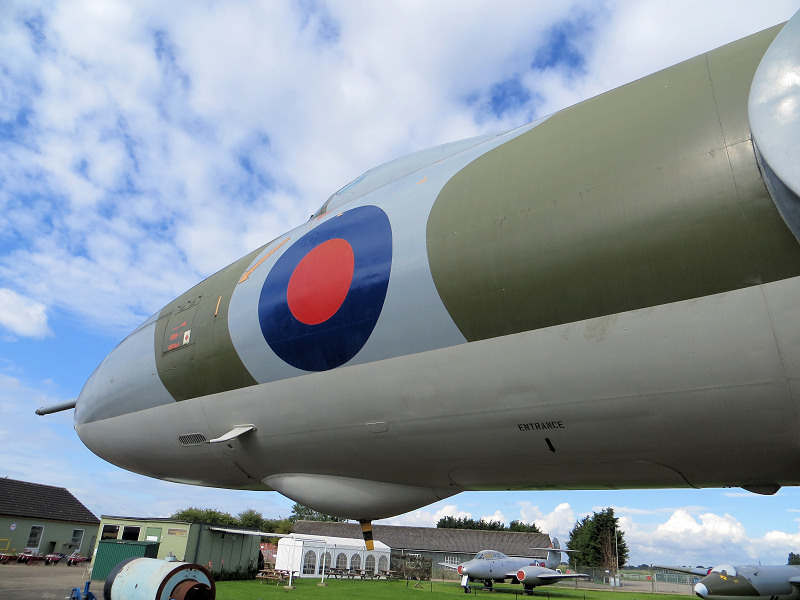 This will be the sixth time that the museum has hosted a V-Force Reunion event for former personnel who operated Valiant, Victor and Vulcan aircraft. On the day an area will be set up for former V-Force personnel to sign-in, collect their badges and this will be staffed by museum volunteers and some former members of the V-Force. The event is also open to the general public and museum trustees, volunteers and staff have put together a range of visiting special displays and activities. On both days a number of museum aircraft will be open for people to visit - this will include the Vulcan, Hastings and Varsity. A small additional charge will be made for each aircraft visited (proceeds towards the museum's various aircraft restoration projects). There will also be a Vulcan XM594 systems demonstration, which utilises the Rover APU to operate various systems on the aircraft, including opening and closing the huge bomb bay doors. Programme of 4 V-Force related talks in the Dambusters Hut, these are free but please book a ticket when you arrive at the event. Normal museum admission rates apply: Adults £9.00, Over 65s £8.00, Children £4.50 and Family ticket [2 adults & 3 children] £24.00. Photo Credit: Howard Heeley - Down To Earth Promotions.